North Wales beaches will be busy this summer, as they are every year, but more so as international visitors take advantage of the “Brexit pound”. Because the Welsh coastline spans three sides of the country beaches can be found close to cities beside rural settlements. 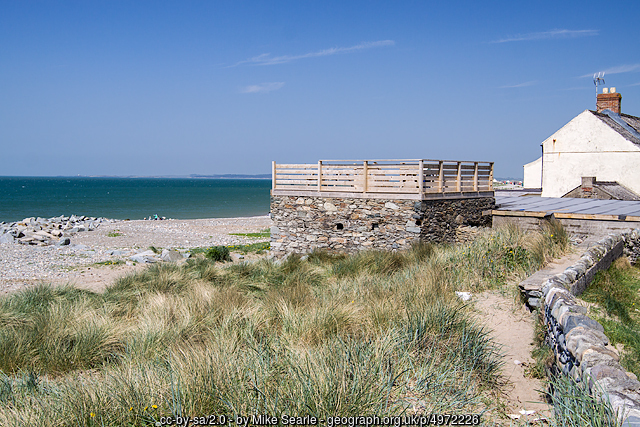 It’s not unusual to find a beach close to a University town in North Wales or near a castle. There is an enigmatic mix of ancient and modern settings in the coastal resorts with some beaches found on holy islands. The majestic mountains of Snowdonia overlook all of them creating some of the most stunning scenery in the British Isles. Here are some North Wales beaches you might want to visit this summer. Barmouth was a busy shipbuilding and slate port from the mid-1500s to the early 1800s when Porthmadog took over the role. Now it is a charming town with a marina in the harbour. Whilst some fishing still takes place there it is mainly home to yachts and other pleasure boats. Popular with tourists, the beach spans 6 miles from Barmouth to Tal-y-Bont. Surfers flock to Barmouth in the summer and the town offers everything you would expect of a tourist destination. There are maritime attractions and museums, pubs, restaurants and of course Harlech Castle. This is a dog friendly beach spanning 5 miles and mostly sand dune. Home to the Cadfan Stone securely housed in the Norman Church there, Tywyn is a popular seaside resort and of interest to historians. This Celtic holy island has a total of 6 beaches interspersed with quiet bays to enjoy. The Medieval Conwy Castle is well worth a visit while you are there. And at Llandudno children can take a donkey ride or ride on a cable car. Llandudno is always busy so expect lots of people to be there this summer. In the winter there is hardly a soul in sight but come peak season and the small village of Dinas Dinlle is transformed into a bustling tourist resort. The beach is sandy with a pebble ridge. There are plenty of water sport activities to participate in. The sea is fantastic for swimming and you may catch sight of a few dolphins. There are parts of the beach that are dog friendly. There are a few outlets where you can buy fish and chips, ice cream, souvenirs and anything you need for the beach. It’s an ideal area to watch wildlife, take walks through the woods and there is a playground there for kids. Pensarn beach at Abergele is a pebble and shingle beach which is dog friendly. You’ll see lots of kayaks and canoes here and it is a wind surfer’s dream. Near the beach there is a restaurant and shop and there are facilities for the disabled. This is just a small selection of our favourite North Wales beaches. You can find many more by search North Wales beaches on any major search engine. If you happen to be passing or staying at Golden Gate Holiday Centre in Towyn.